Star Control has definitely been the most...dramatic franchise we've ever worked on. 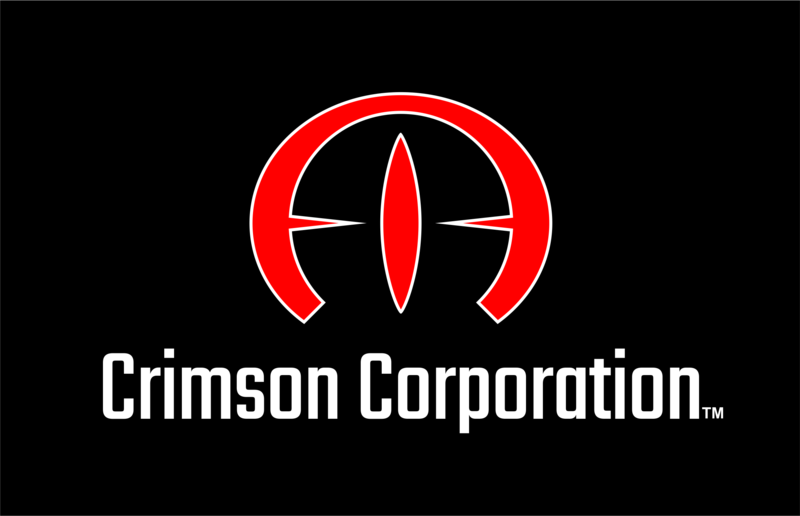 No doubt the diabolical work of the Crimson Corporation indeed! So what's next? What's happening? General story. What is the overall meaning for the story. Design up the quests for players to go on. Decide what writing is going to be voiced by voice actors. 1,2,3 are reasonably fast to get to the first stage. The longest part is the play testing. Are these quests fun? The first part of Earth Rising, Aftermath, actually took a month longer than anticipated because of iteration on the quests. Quests are...tough. I should say, quests are super easy to do but hard to make worthwhile. I mean, how hard is it to whip up a fetch quest? Go bring us back 25 Krizak tails and we'll give you a new weapon. Fetch quests are pretty standard but that isn't why people play Star Control. Star Control is about telling a story and in the case of Star Control: Origins, the story is about Earth's entry on the intergalactic scene in the late 21st century, far earlier than anyone would have expected. We are hoping that the Lexite story will be ready to send to voice acting by the end of the month (and simultaneously sent to translation) so that we can get this out to you guys next month (depending on QA resources which will be pushed to their limit with OTC expansions, GalCiv expansions and multiple new titles in development). Then there's the question of what happens after Earth Rising. The engineering team is focused on porting our underlying engine so that we can have console and even mobile releases of Star Control games in the future (including Origins). We anticipate that work to be largely done by the time we're done working on Earth Rising. So then what? That really depends on a lot of factors. One path is to go and do a sequel. Another path is to do a second expansion for Star Control: Origins. Which path we ultimately take depends a lot on you guys and what you want and where you want us to take Star Control next. I think that another expansion or two, maybe get some deals to include other universes in the origins would be great. There's more to tell before even going for a full blown sequel. There was a lot of work put into Star control origins. The game itself and its story allow a large room of possibilities to be explored at the end. I'd say do an expansion but can it be done so it takes place 'after' the story? Is this feasible or would this be considered an sequel? I am looking forward to seeing what evolves. I just love the game, and i just want more, kinda of demanding and selfish, but the game Works! and to bring new Explorers! Any licensed universes around? babylon 5, star wars, halo, warhammer 40k, star trek, mass effect, Lexx, Wing Commander, GalCiv, BattleTech, X-Com, Age of Wonders Planetfall, Sins of the Solar Empire, Known Space, Starflight etc.? Any total conversions? A remake of SC2 (yeah-yeah - legal issues...)? Hang on a second!!!! Offworld Trading Company Expansions in QA!!!! Tell me it’s true!!!! I think that yes, SCO needs more expansions. Currently there is a stark contrast in quality between the main story and the side quests. While not all optional content in SCO feels as boring and copypasted as the "wrecked ships" you find all over the Scryve Sector on random planets (why did you decide to add them anyway? It's already easy to replenish your fleet as it is), SCO definitely needs more good storylines - more exciting new races, more mysteries solved, more mysteries introduced. I fully agree with you that fetch quests aren't what this game needs. As of now, the main storyline of SCO is way too short. You've also talked in your pre-release journal how alien ships in SCO don't just fly around randomly - they carry out specific tasks. I think the game needs to emphasize this more, to exploit the alien ships' AI for the purposes of the story - like, have entire storylines that unfold differently based on how the aliens act. What I also didn't like in SCO was the lack of meaningful dialogue choices in many situations ("It's love, isn't it?" and all that - okay, I understand that was comic relief). I remember you talking about how much freedom SCO gives to the player, how one doesn't have to be the perfect noble hero to win... Only there are already tons of games on the market that offer this kind of freedom to the player, and the moral choices you have in SCO are rather lackluster, as there is always a very clear-cut good versus evil choice, and the only reason you'd want to make an evil choice is either because you're lazy or if you really want to do evil for the sake of evil. There are only two exceptions to that I can think of. The first is unleashing the Xraki, but that choice is forced on you, there is nothing you can do about it. The other is allying with the Overmind Trandals, but the game doesn't show any real impact of that choice beyond Trandal ships starting to fly around Scryve space once you win. I'd prefer to have genuine, difficult moral dilemmas where there is no obvious good choice. I am always biased towards more SC, so I choose second expansion, then sequel. If that makes the sequel come out a few years later I am OK with that. I think a lot of people are hoping for a lot of stuff to do after defeating the Scryve. Also, if you don't have much stuff going on after the main quest I think a lot of fans and reviewers will complain that a possible time skip from SCO to the sequel would skip over a lot of interesting stuff. Also if you don't have a second expansion to SCO then you will have less going on at the start of the sequel (or less foundation from SCO to draw upon in the sequel), which might hurt the starting quests of the SCO sequel, which is the most important part. Maybe something as simple as being able to play fleet battles versus the computer while waiting in the queue for a human opponent. Maybe some type of 1v1 local multiplayer strategy game, simplistic galactic conquest with a lot of fleet battles. Maybe online multiplayer X4 style with each player controlling one race. Maybe online or local multiplayer coop adventure mode. * A build that works on wine / proton or linux somehow. I think we need a more fleshed out universe here. There needs to be more story and depth. I would say you definitely need more expansions and content before considering a SC:O 2. I don't feel like this universe is established enough to draw strong interest for a sequel yet. So focus on story/lore-heavy expansions! I agree with the general consensus that a more fleshed out universe is in order. I also think, as a practical matter, that we need to have some more interesting things to do on planets than what we have now. On the Star Control discord, I've mentioned in the past having landing parties. The issue on landing parties is, of course, budget and whether we leave that for a sequel or not.